Hair gets lighter. Drinks get colder. Nights get longer. Jewellery gets better. Colour to your heart's content with a selection of fruity summer colours. From red and pink to yellow and blue, we break down the colour trends. So, get ready for a burst of bold, bright summer shades. 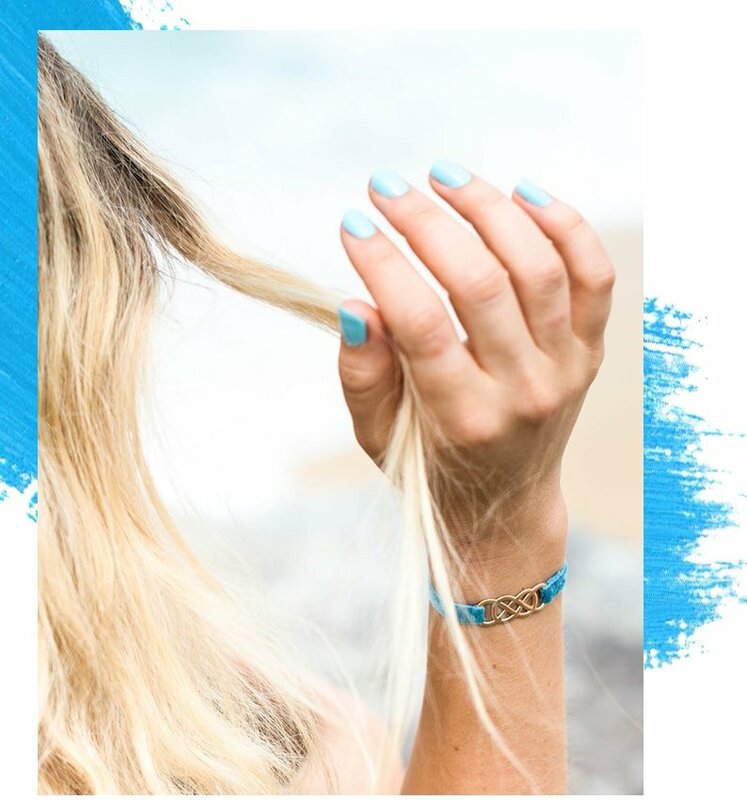 As the temperature continues to rise, give your style a revamp with some fresh summer jewellery ideas. Here are some bold and eye-catchy jewellery to inspire your summer look this season. Red is the colour to wear if you want to stand out amongst the crowd. And Red is no longer only reserved for sultry special occasions. Bright and big Ruby tassel earrings with a plain flowy maxi dress? Yes, yes and yes! The colour Red is an intense colour that is packed with emotion ranging from passionate to determination. It is a hot, vibrant colour that represents excitement and energy. 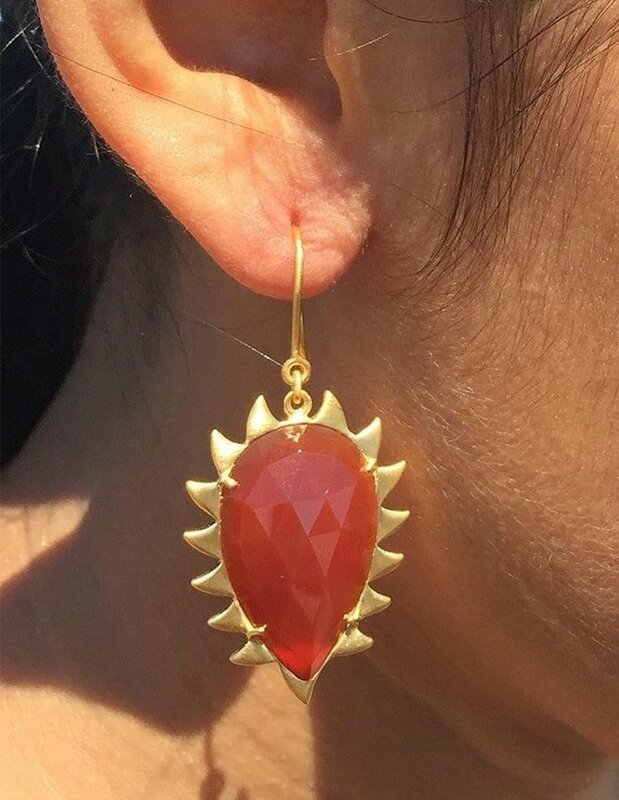 Red gemstones, such as Garnets and Rubies, are believed to increase enthusiasm and interest, boost energy, create confidence, and offer protection from fears and anxieties. New York based Jewellery label Pasionae sources its inspiration from human passions. Each bold fashion statement brings powerful emotions to life via a mesmerising use of colours, shapes and textures. 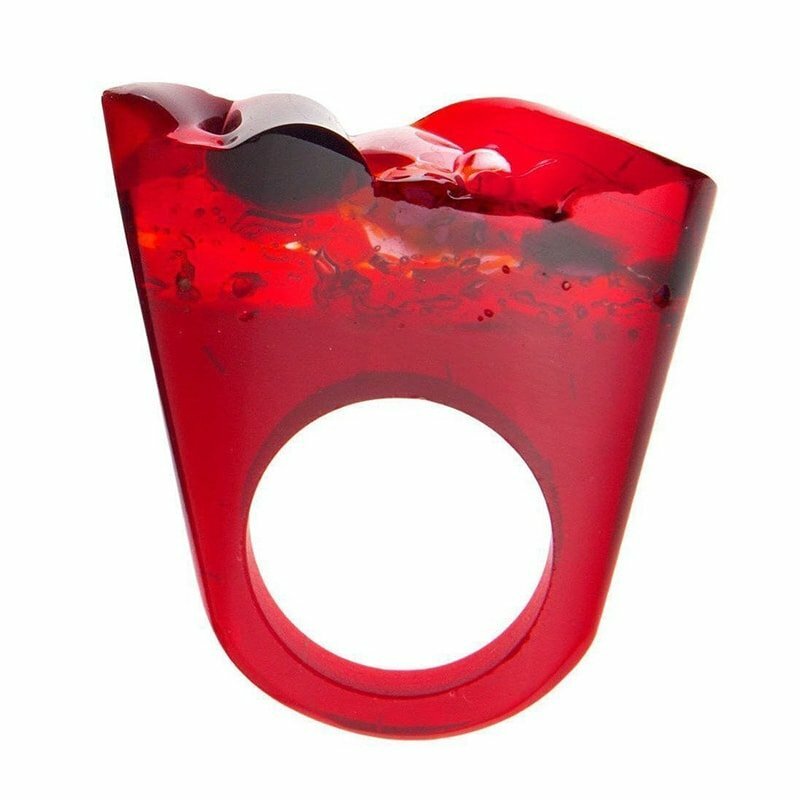 This ring exhibits the glass unique texture, color and shape, making each piece one-of-a-kind. 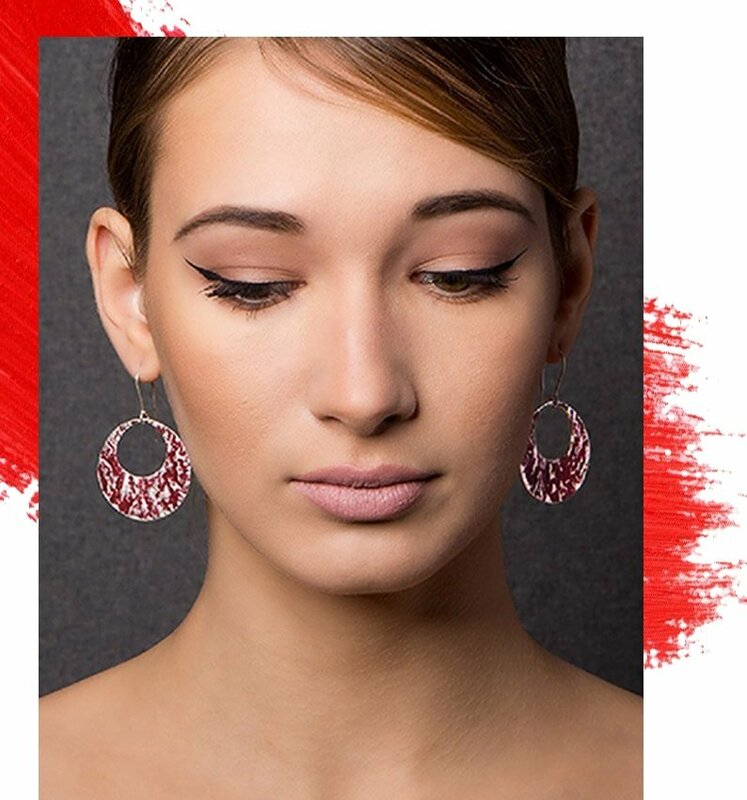 "Meghna Jewels" highlights her signature pave arches in this Claw Earring with hand brushed matte gold finish. Her designs are renowned for their fine jewellery with structural depth and adventurous aesthetic. Looking for colour to add to your workweek outfit? Have you thought about wearing a pair of pink diamond studs with a magenta skirt and blush blouse? Or better yet, mix your brights and ooze creativity. Pink is just so easy to wear and goes with everything. 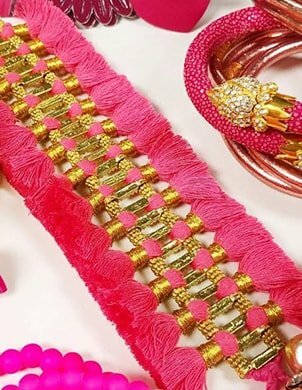 Pink, a delicate colour that symbolises sweet, playful, romantic, feminine, and tenderness, is commonly associated with flowers, cotton candy, and sweetness. It is the colour of universal love of oneself and of others, the symbol of friendship, and harmony. 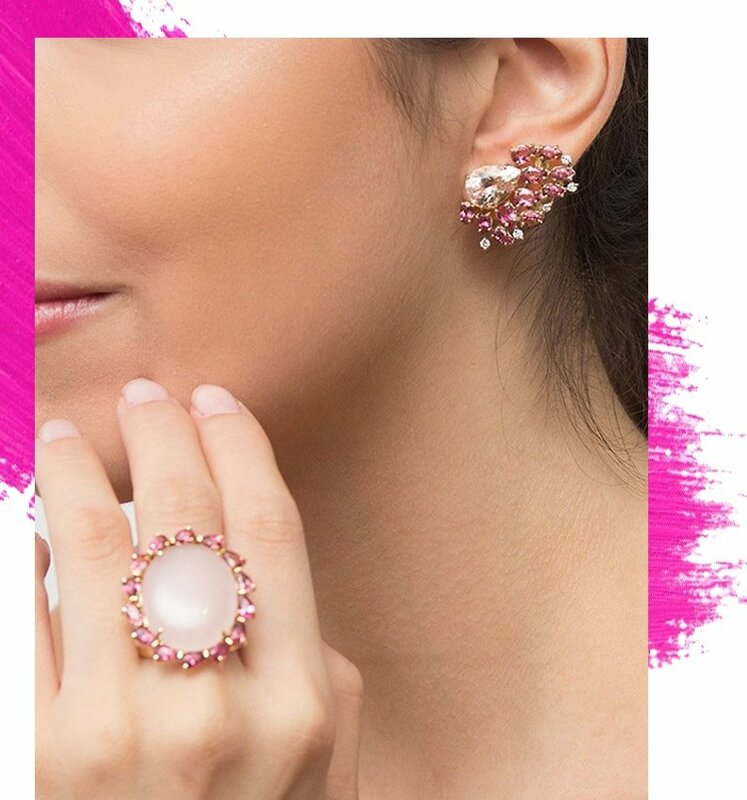 Pink gemstones are believed to signify serenity, relaxation, acceptance, and contentment, as well to neutralize disorder or soften frustration. Designer Gabrielle draws her inspiration from nature, philosophy, art and her homeland of Capetown, South Africa. She handcrafted this necklace with 18kt gold metal and precious stones. 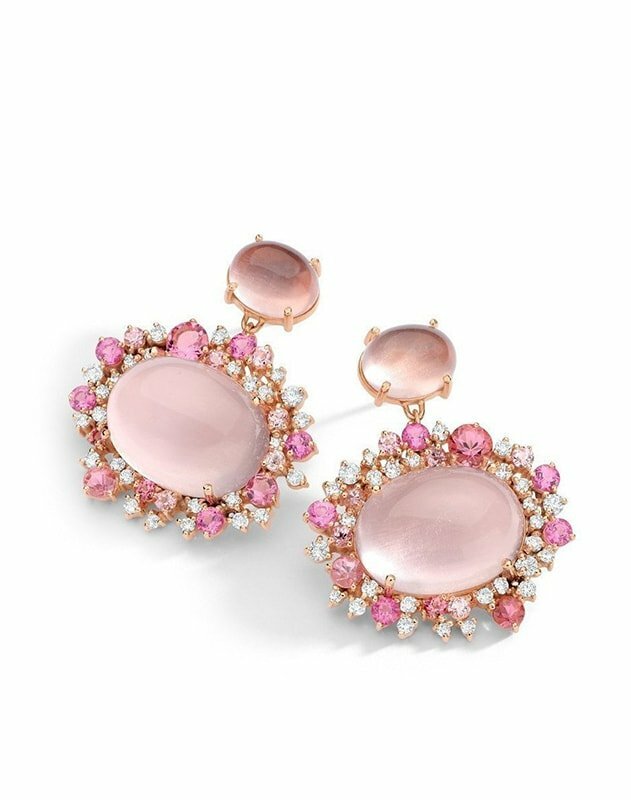 Combined with unique contemporary style, these Baobab Rose Earrings in 18k rose gold hand engraved with diamond, rose quartz and Brazilian pink tourmaline are the perfect addition to your summer outfit. If you can’t get a little bit of sunshine everyday, why not dress up in the colour instead? Less highlighter-bright and more golden-meets-mustard, yellow compliments every skin tone. 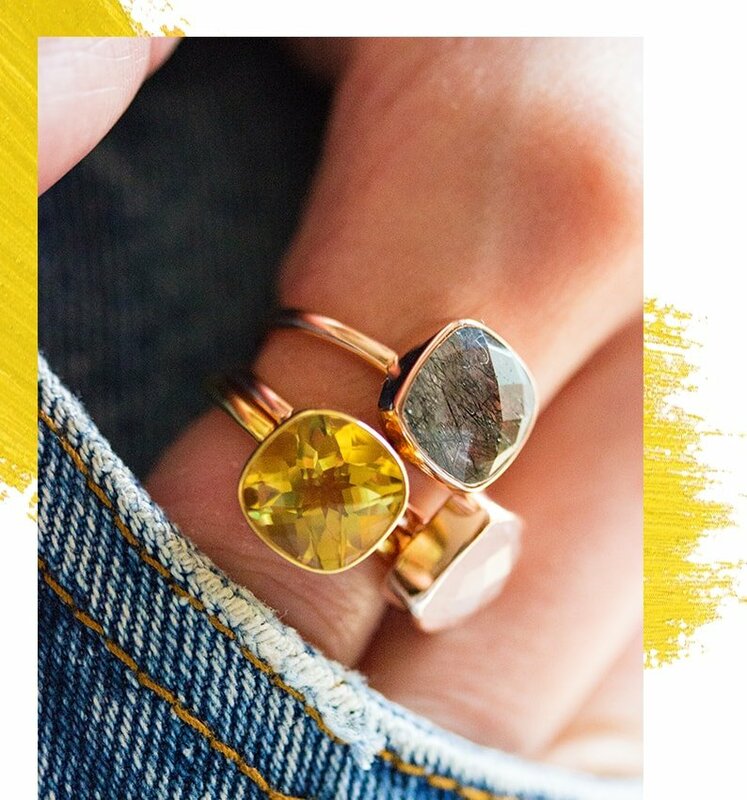 Add a little golden yellow with a chunky bangle or brighten up a dark floral or gingham with a canary ring. Yellow, the colour of sunshine, hope, and happiness, stands for freshness, happiness, positivity, clarity and energy. 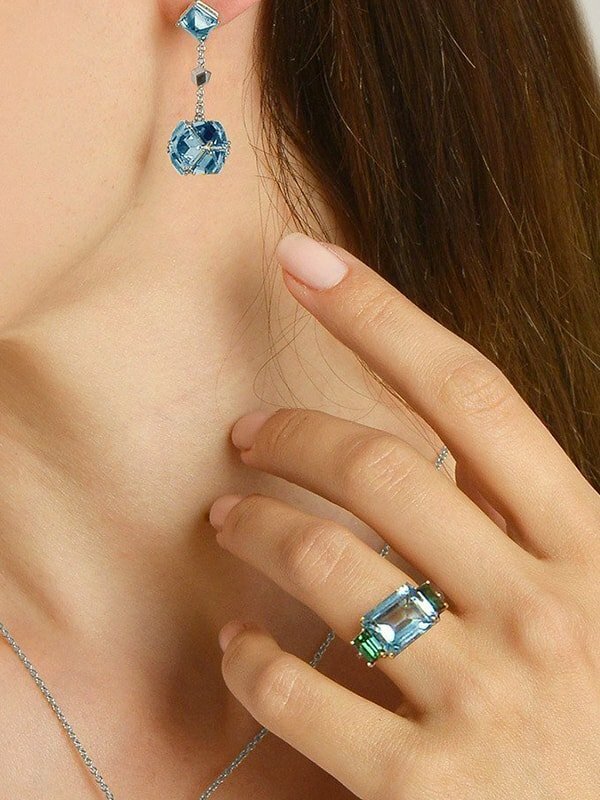 A modern and fashion-forward design, combining metals and gemstones beautifully, taking your look to a whole new level. 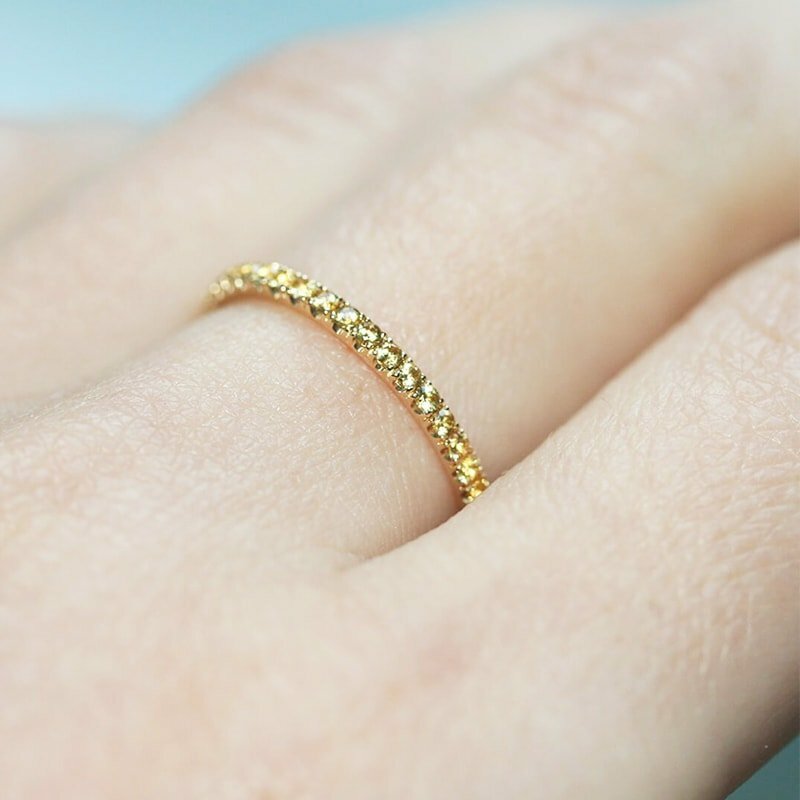 This Limpid yellow sapphire stacking ring comes from jewellery brand Verifine London. It is gorgeous enough to stand alone yet could be easily stacked. Navy blues are timeless. They work with just about any colour as the shade breathes elegance and class. But, use bold blue earrings or statement necklaces to add intensity, fun and vibrancy to your style. Blue represents both the sky and the sea, and is associated with freedom, imagination, inspiration, and sensitivity. Blue also represents meanings of depth, trust, loyalty, sincerity, wisdom, confidence, stability, faith, heaven, and intelligence. 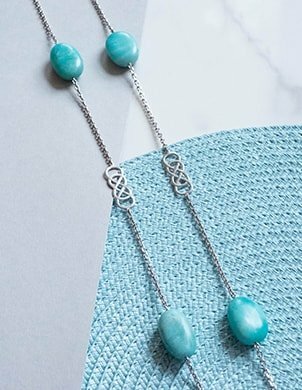 Blue gemstones are believed to represent calm and relaxation in crisis or chaotic situations, to aid the flow of communication between loved ones, to feel inspired, and to gain the courage to speak from the heart. 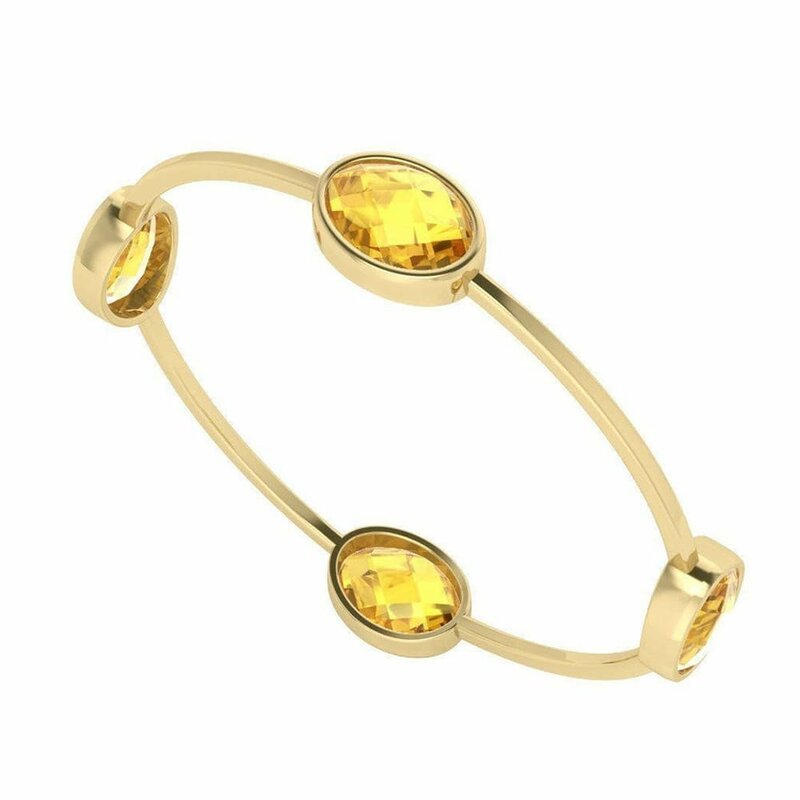 Crafted from a linked yellow gold vermeil chain with a pear-shaped topaz as the central point, the bracelet is a modern yet refined take on elegance with a slightly playful aesthetic. Harmonising clean geometries and unique colour combinations, Paolo Costagli designs can be seamlessly taken from day to day accessories to evening adornments. 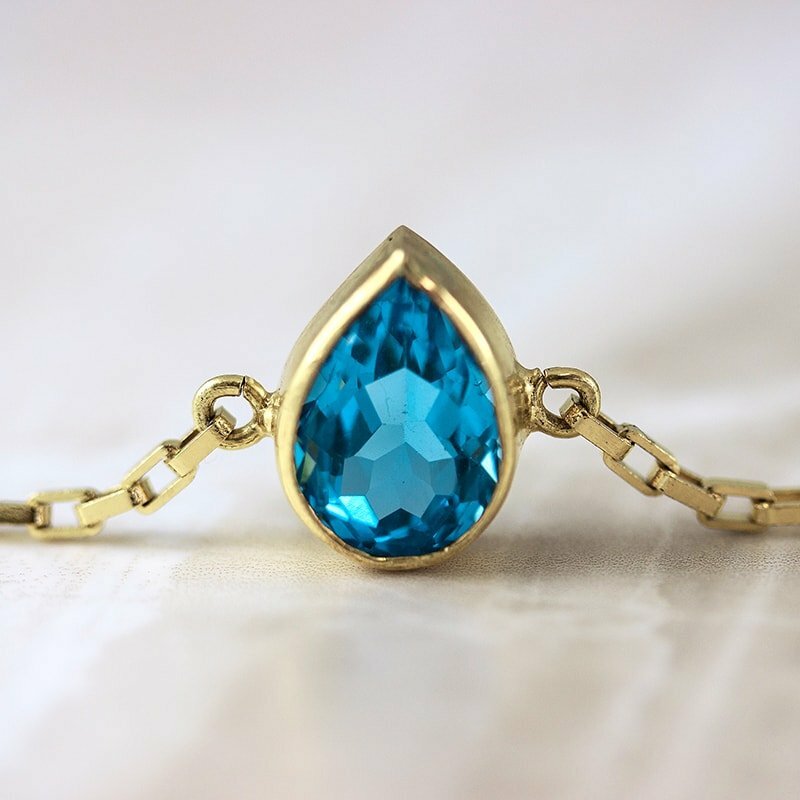 Whether you are searching for love or dreaming of water, blue topaz jewellery can evoke the clarity that you seek. 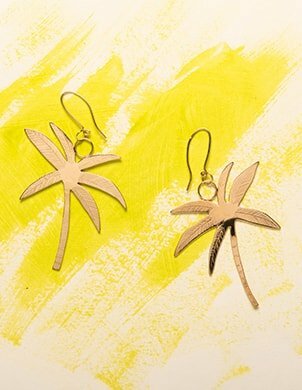 Whether you are jetting off to an exotic Island or heading out for a summer barbeque, JewelStreet has got you covered.